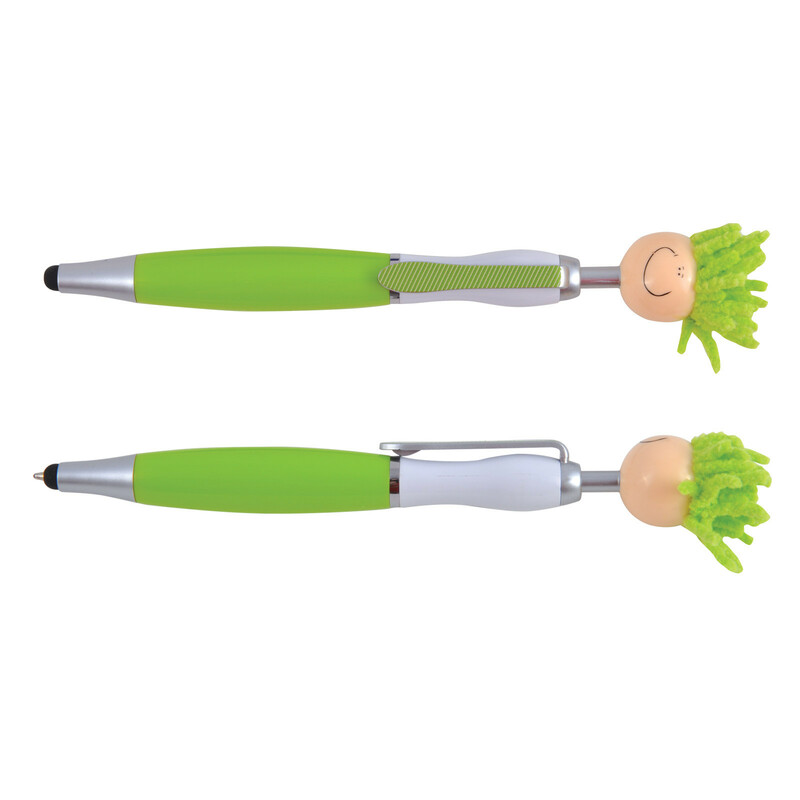 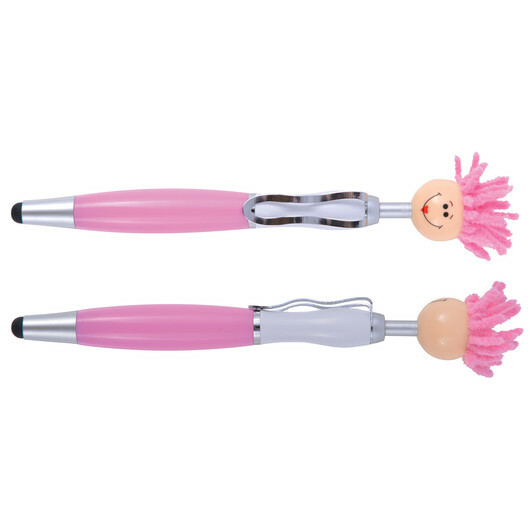 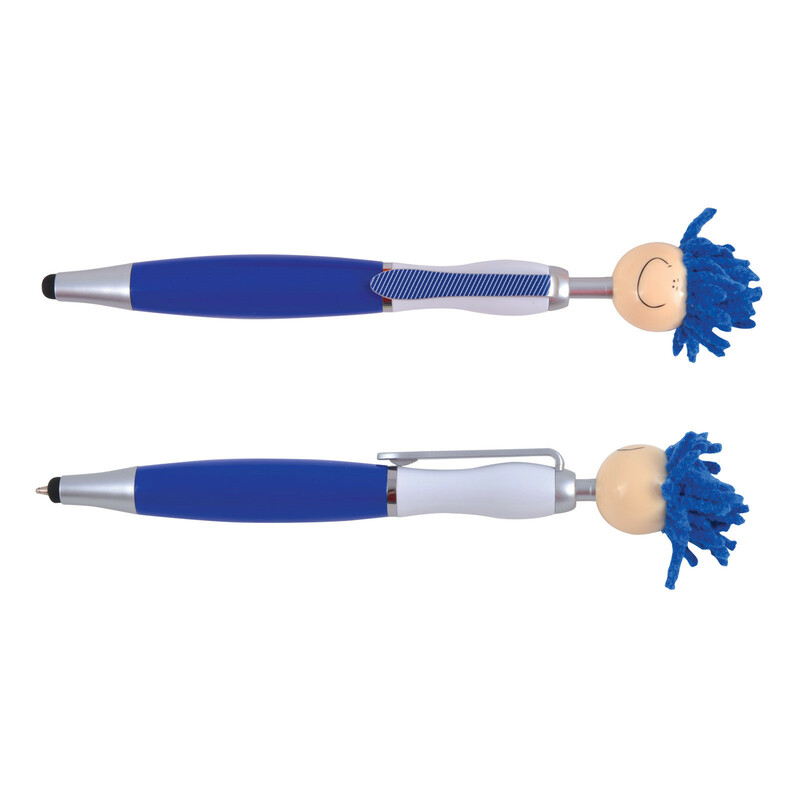 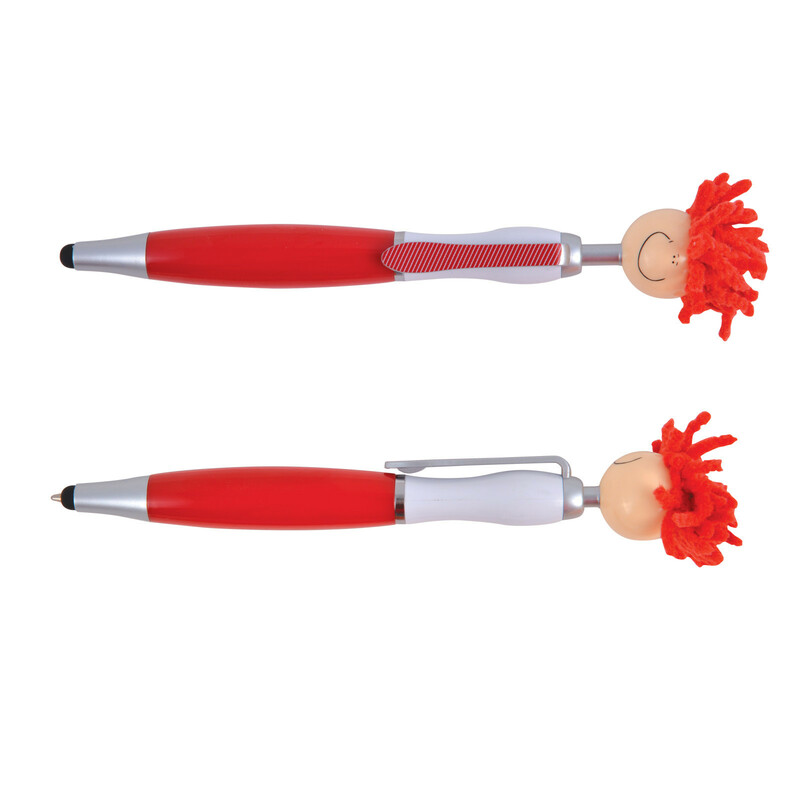 Get noticed with these quirky Mop Top ballpoint pen figures. Includes a pen, stylus and microfibre cleaner. These fun and quirky stylus pens are guaranteed to get noticed. 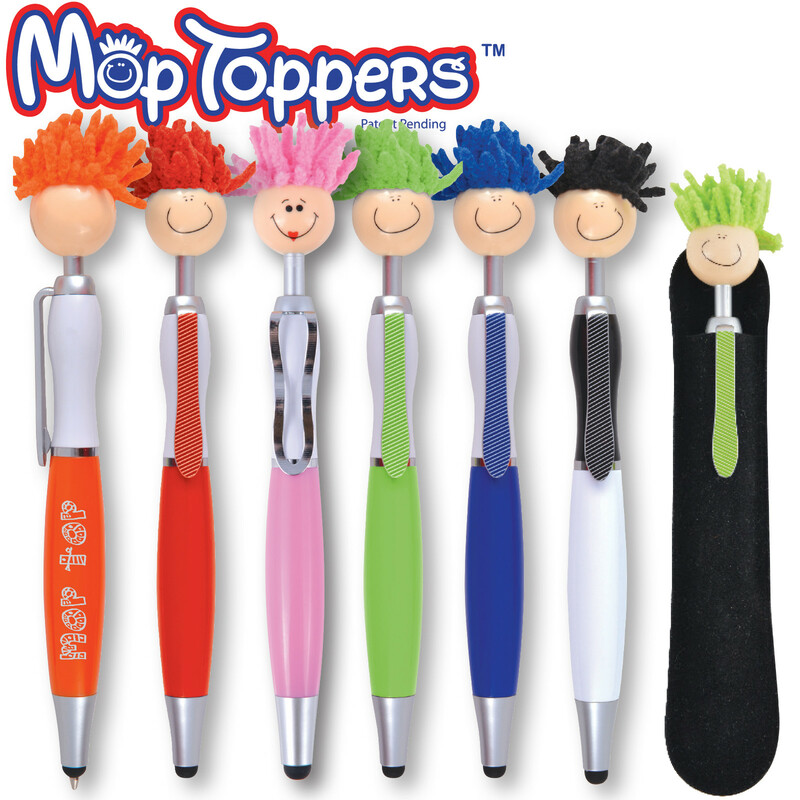 They come in 6 eye-catching colour combinations and feature a "mop top" character that has microfibre hair suitable for cleaning touch screen surfaces that can also be used with the built in stylus. These pens have a distinct look and include a tie clip making them easy to store in your pocket. 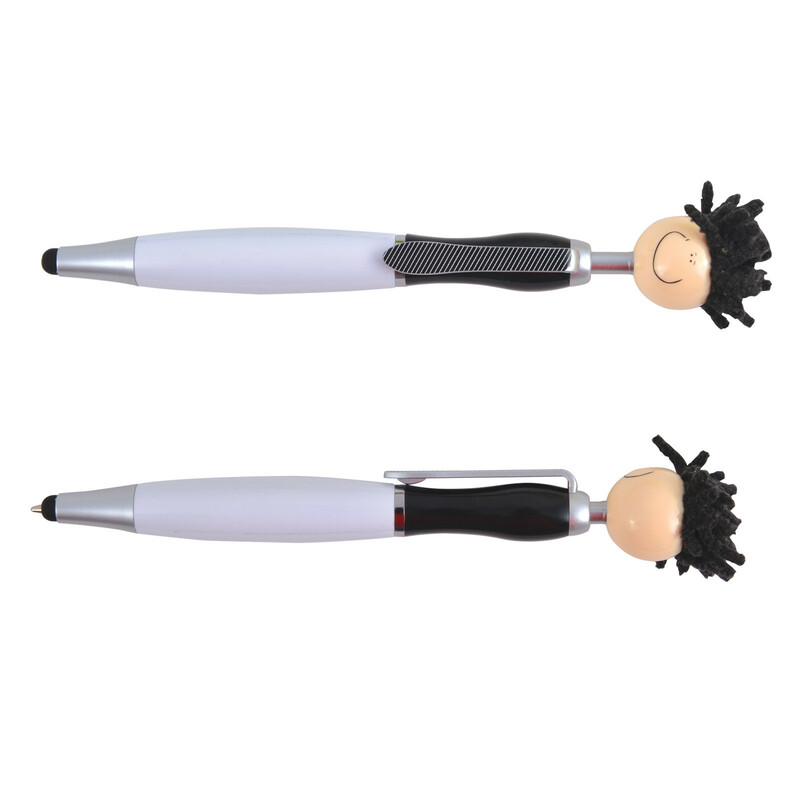 These have a huge writing distance of 2100m, a tungsten carbide roller ball for improved performance and Nero pigment ink.